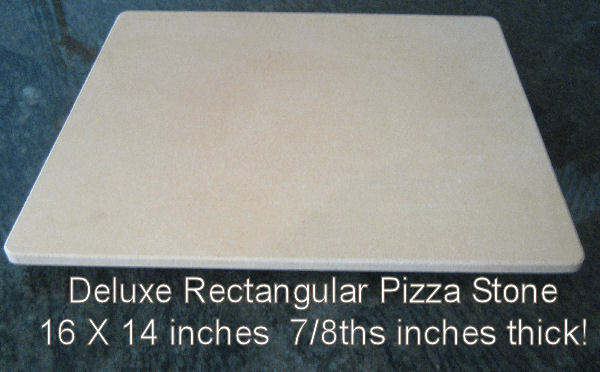 Home > Pizza Stones > Rectangular Pizza Stone | Pro-Grade | 14" x 16" | 7/8ths Inches Thick! At nearly an inch thick, this pizza stone's wonderful thickness means it bakes with more steady and even heat than most stones. This makes any pizza better. And it counts even more when you make one pizza after another. The largest stone you’ll find that fits in standard ovens, so you can make the largest possible pizza.